Letters are fully mail merged with any and all information from your mailing list. 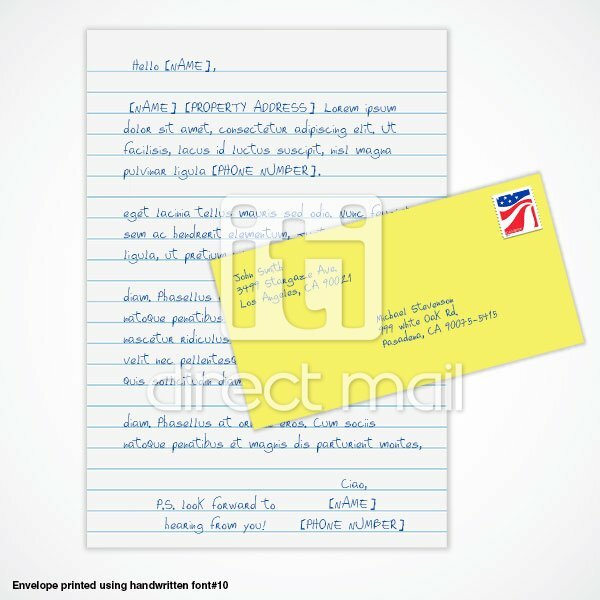 Merge information can be included anywhere in the body of your letter. 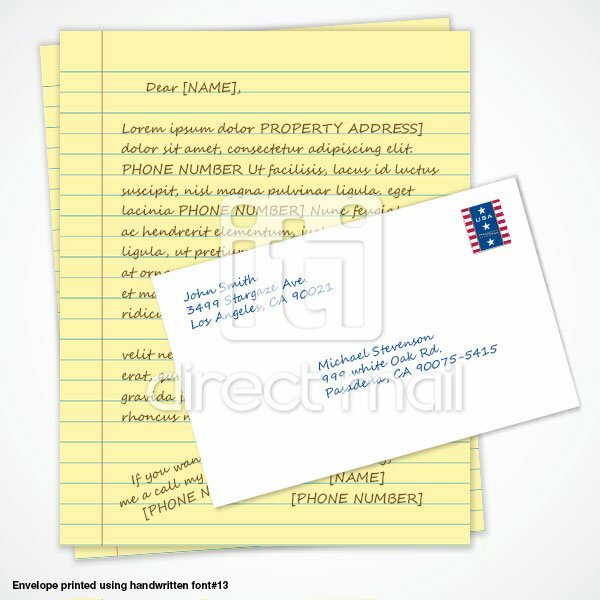 Merge information can also be included on both sides of the letter (front & back) if you are printing double sided or on front/back of the second or third sheet. 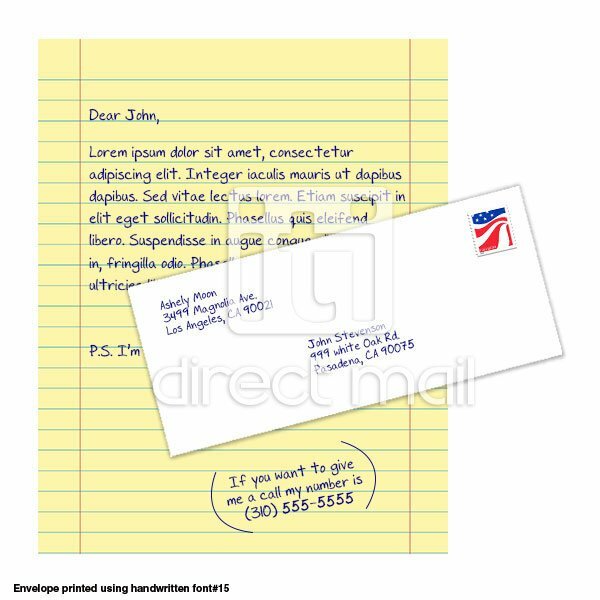 We also offer variable image printing, which gives you the ability to change graphics/images based on certain conditions; for instance having different changing signatures in a single mailing job. We offer a wide range of variable data printing solutions, contact us for more details. Contact us for orders larger than 25,000 pieces since we can possibly reduce your cost by printing portion of your job on an offset press vs. digitally. Orders larger than 15,000 pieces may require additional time for processing than what is shown in this price calculator. 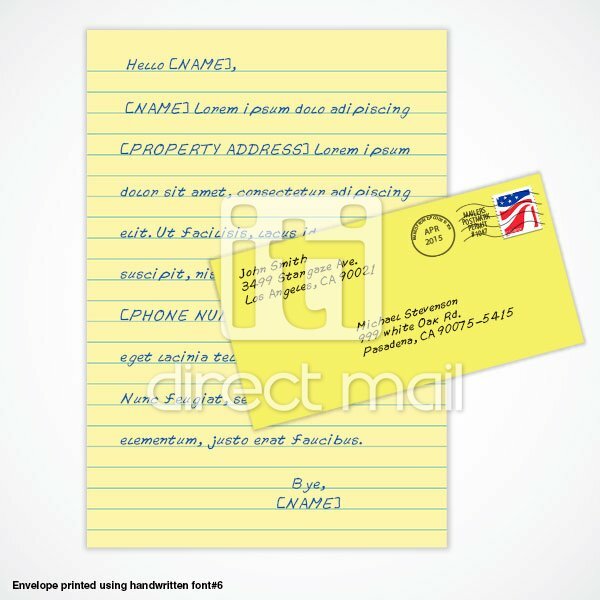 Handwritten fonts are mostly used to address your envelopes with this type of mailer. 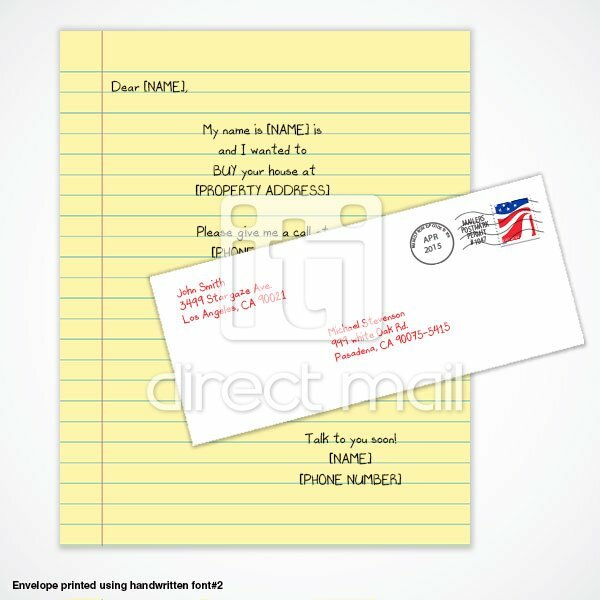 Our handwritten fonts are created from a real person's handwriting and printed with high quality printers. 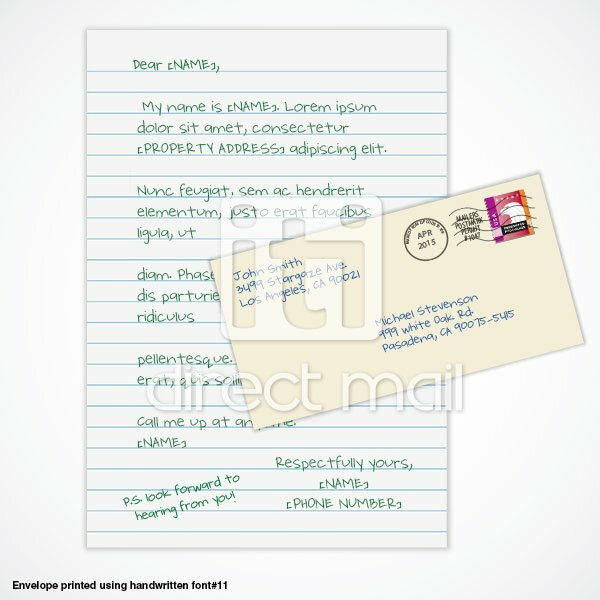 We can also create a handwritten font based on your own handwriting. Click here to see our handwritten fonts. We will setup your letter in the same handwritten font that you've chosen for addressing your envelopes; this consistent appearance is beneficial. 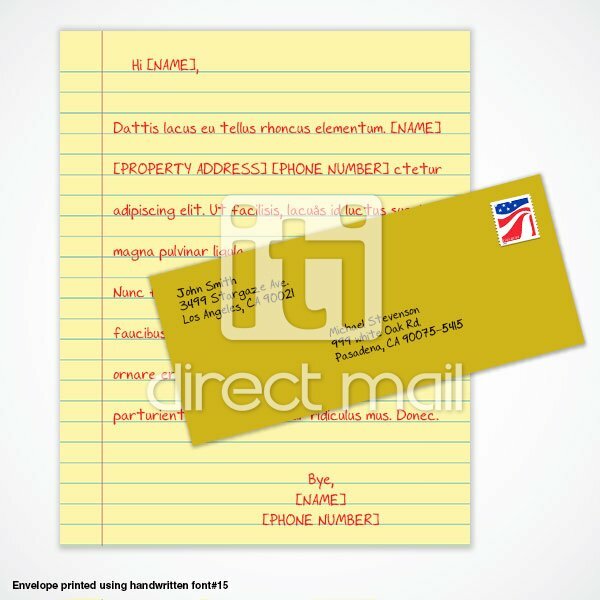 There is no additional cost to use our handwritten fonts for addressing your envelopes. 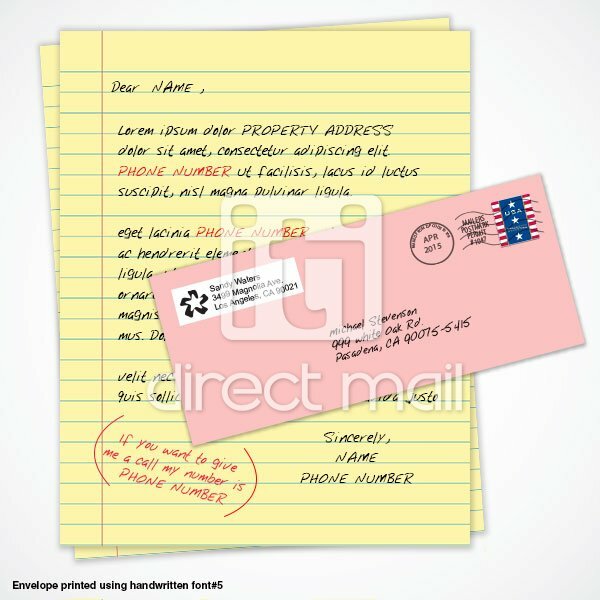 You can even use the handwritten fonts with discounted bulk mail (all the presort classes). 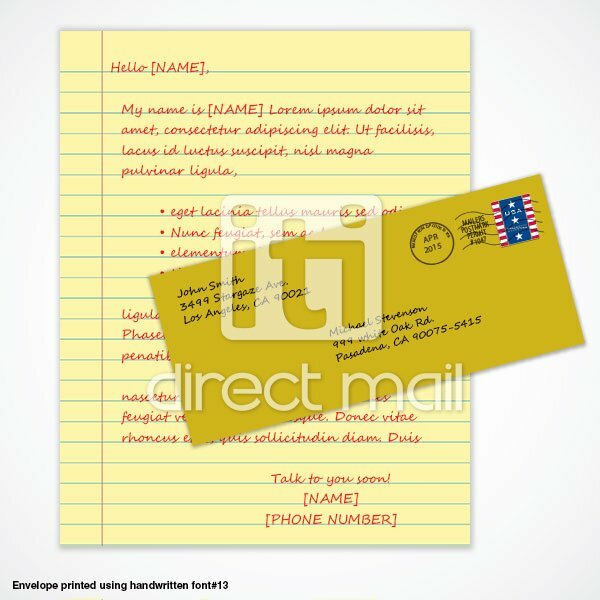 Handwritten fonts can be printed in black or other color inks. Tracking: We offer tracking at a nominal cost on all jobs mailed at presort classes. Tracking is free for orders with more than 5000 pieces. Our mail tracking will show your mail as it travels through the postal system and when it has delivered. See more information here. FREE NCOA: All jobs mailed at presort classes receive Free NCOA. This service will check all your records against USPS's National Change of Address database and update your addresses with the correct forwarding address. This could significantly improve your delivery rate. 50 Piece Minimum: We have one of the lowest minimums in the industry; only 50 pieces per job. You can even mail at the discounted presort postage rates at 50 pieces. You can also include additional items with your letter. Below are some of our common options. 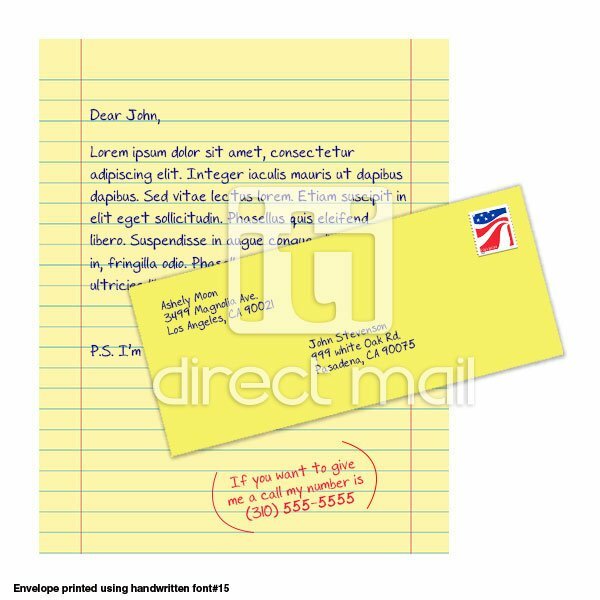 To insert any of the additional items above, first configure and order your letter printing job then place a second order with any of the above items and comment on the order to have your additional items included with your letter printing job. 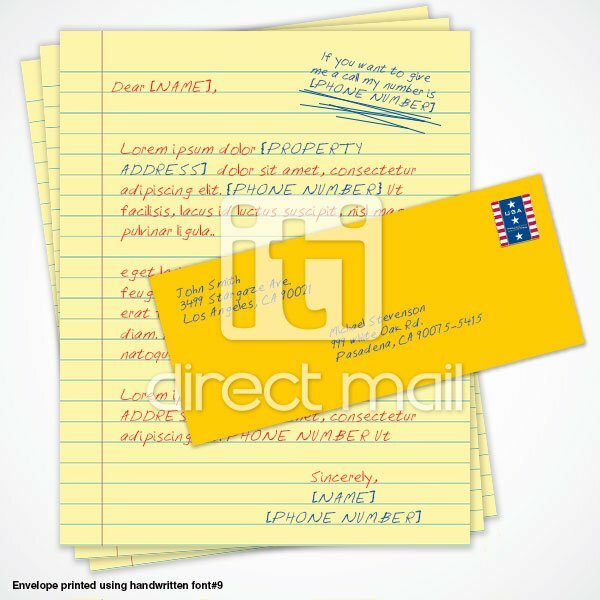 You will need to provide us the text of your letter in Ms Word and our designers will lay out your text in a way that will look the best on your letter. This is required and there will be a small setup fee for this service, shown on the price calculator on the right. Setup fee is only charge once per letter. 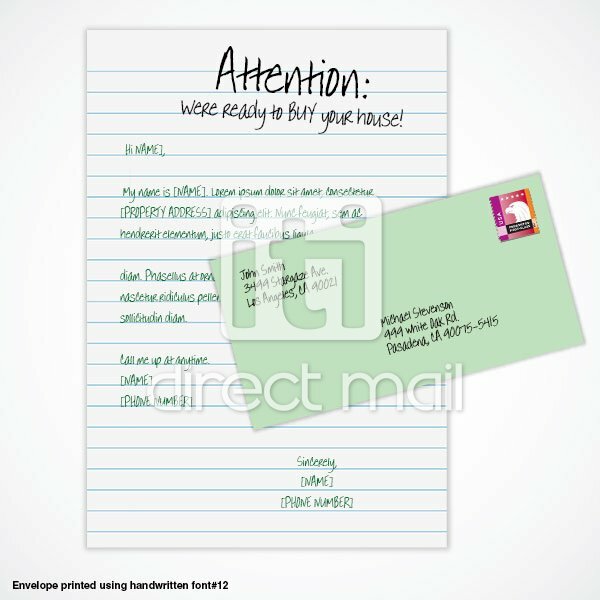 Therefore you do NOT pay setup again on future orders for reusing a letter that has already been setup. This setup service includes two revisions. Visit our Knowledge Base for complete setup information. This link explains the 4 steps involved in the ordering process.